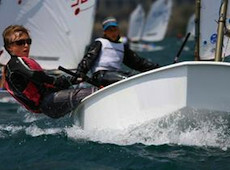 We love covering youth sailing events. The kids are always excited to see the camera. They show enthusiasm and energy that you don’t often see in adult sailing. Optimists, Lasers, 420’s X-boats etc. We cover them all. The prize giving ceremony from this years event.